Overwhelmed by menus boasting herbal-infused quinoa and avocado milk? Here at City Pantry we've narrowed down the top vegetarian restaurants in London for all your clean-eating needs. Stuck in a Google hole trying to find the best vegetarian restaurants in London? Overwhelmed by menus boasting spirulina-infused quinoa? Or avocado milk? (Both an actual thing). Well, stop. Thanks to soaring global demand, eating quality vegetarian food is easier than ever, and can be green, nutrient-dense and really, really tasty. So without further ado, here’s our pick of the best vegetarian restaurants London has to offer. Mildreds has been serving vegetarian comfort food since 1988 when it opened on the then-edgy Greek Street. Today, it has locations in Camden, King’s Cross, and Dalston as well - but the original Soho location is still the best. Brave the queue for food that'll get the vegetarian juices flowing like gyoza dumplings, char-grilled artichoke crostini and chickpeas with Persian limes. And take if from us, you really won’t mind queueing for good stuff like this. With locations in Marylebone, Islington, and Hammersmith, there’s a reason that The Gate has a reputation as one of the best vegetarian restaurants in London. On the menu? Delicate starters such as artichoke terrine followed by hearty mains that range from aubergine schnitzel to barley and parsnip cake. 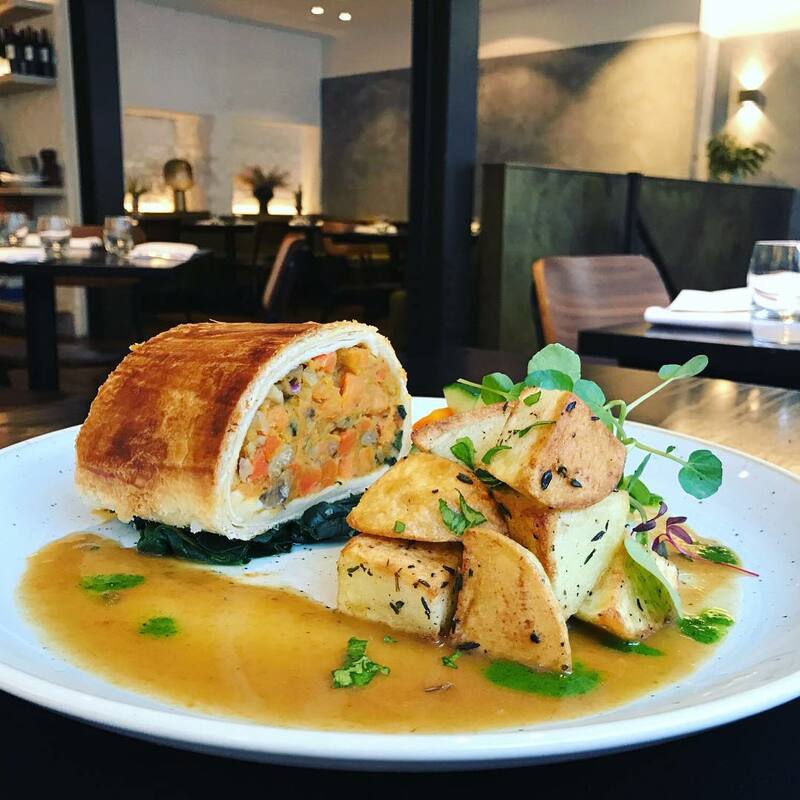 Go on a Sunday for one of their moreish roasts: the root vegetable, chestnut, and sage wellington is a particular City Pantry favourite. 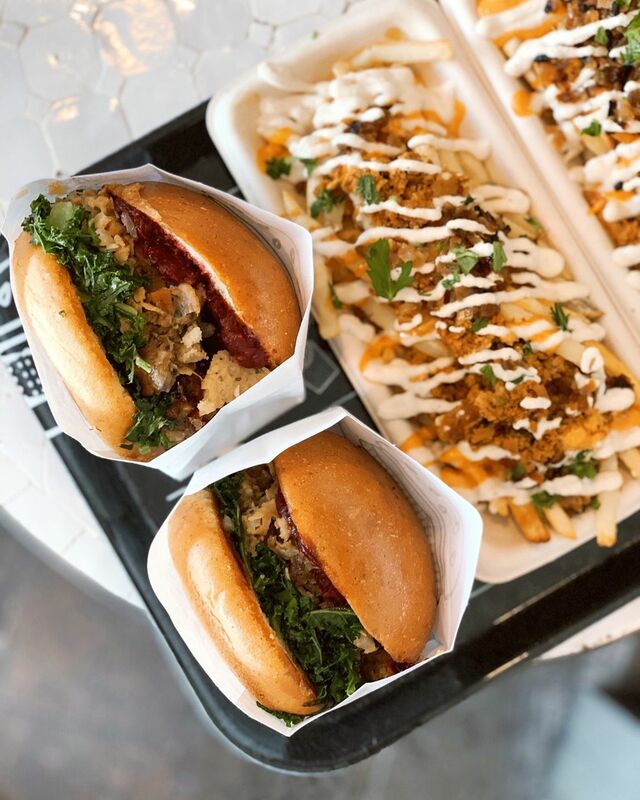 Serving wholesome plant-based food since 2016, MOTHER transforms meat-free Mondays into an everyday treat. Dishes that nourish you from the inside out - like their West African Spiced Peanut Curry, which we can't get enough of - this is one of the best veggie eateries in London. And as an added bonus, if you regularly spend 20 minutes trying to get the perfect shot of your Kilner jar smoothie, then this place is for you. They have jars full of creamy vegan smoothies and plenty of sweet energy balls that are so Instagram-worthy you’ll end up doing a half-an-hour photoshoot before you even order. If you fancy bringing MOTHER into your office, order in a couple of clicks with City Pantry. “Let food be thy medicine and medicine be thy food” say Farmacy, the nourishing Notting Hill eatery with a penchant for Hippocrates. 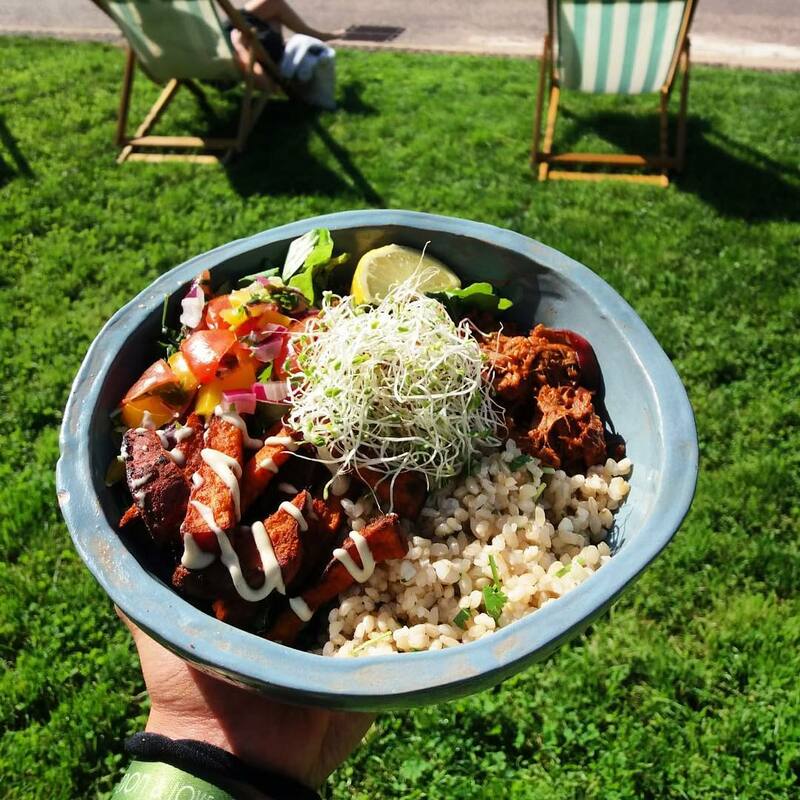 For a wholesome meal, their Earth Bowls offer boundless goodness, brimming with grains and superfoods, or for a very un-naughty treat look to their plant-based sundaes or probiotic parfait jars. And whatever you do, don’t leave without trying one of their syringe shots: the O.M.G., with CBD powder, grapefruit, and flaxseed oil is an absolute must. Serving fresh, veggie-friendly takes on traditional dishes like vegan Fish N’ Chips, chocolate chip cookies and mac ‘n’ cheese - By CHLOE caters to those who mean well and want to eat well. 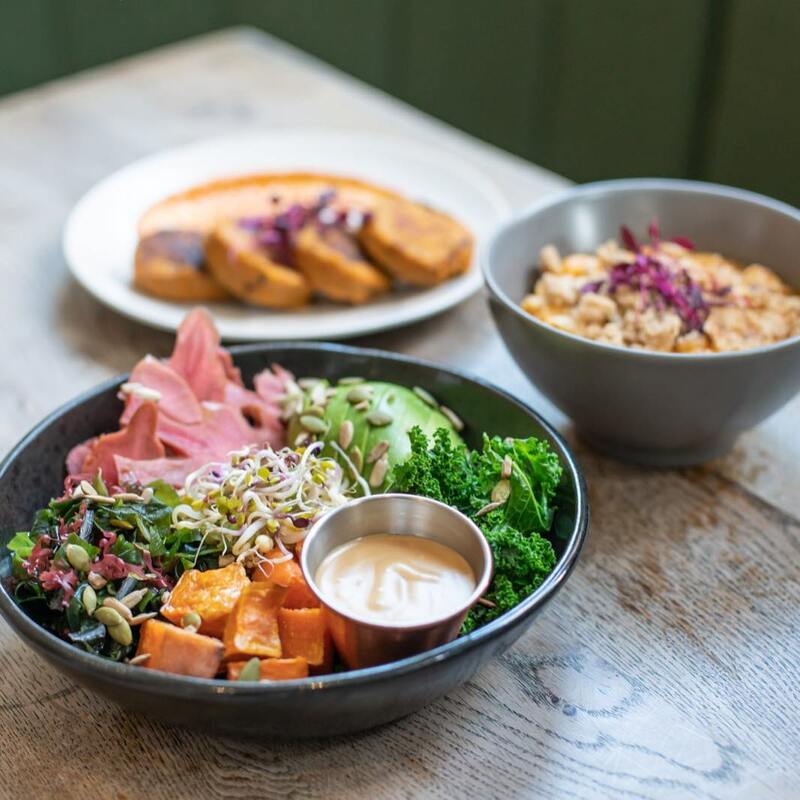 With a wide selection of daily-made meals using local, plant-based ingredients (including a creative list of all-natural juices) you'll find it difficult to eat fresher and better in the centre of London. So it's a good job By CHLOE are available on our platform, isn't it? These are just a few of the great vegetarian restaurants in London. 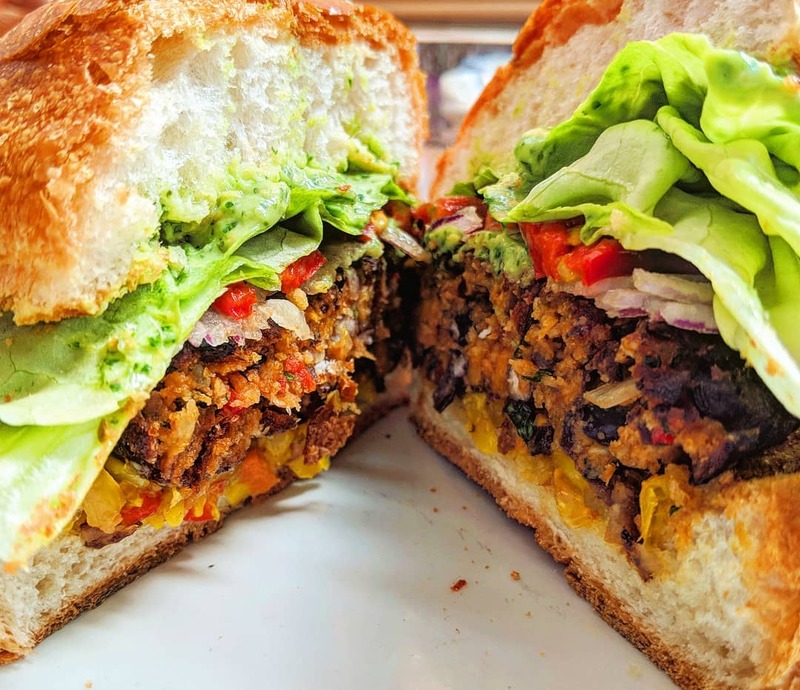 If you want to bring some delicious and meat-free food into your office, you'll want to check out all the vegetarian options with City Pantry.